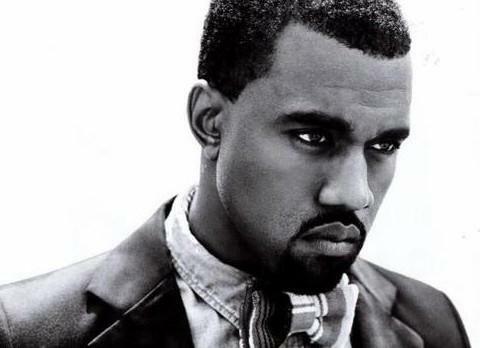 Have I mentioned lately that I really like Kanye. Ok music aside that is. He lives by his own rules, isnt easily intimidated and definitely doesn’t have crowd mentality. His way is deemed KooKoo by many but he isn’t apologetic for being him. My kind of guy. 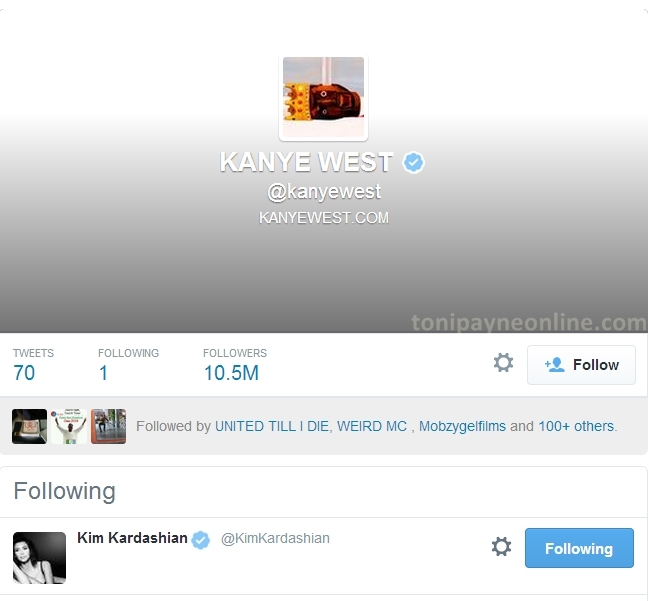 Kanye obviously inst a huge social media person but he took his time to follow just one person on twitter. Wanna know who it is? Check it out below. hahaha! Prev Kim and Kanye West; Official Wedding Photos – Oh so Cute! I’m not surprised at all that it’s Kim, I mean it’s kind of obvious.